Pretreatment work takes place before any other stage of the operation. The cleaning and prep work functions like a structure's foundations. If those foundations are poorly constructed, then there's no way the building can stand, not for any length of time. 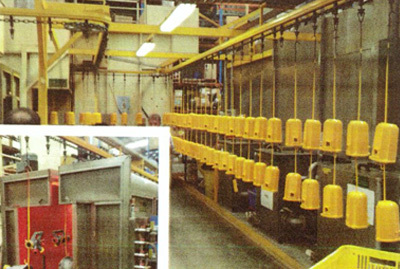 That same knock-on effect plagues the powder coating process. If the pre-processed part enters the spray booth in anything less than pristine condition, you can't blame the spray guns or electrostatic charge for an inferior finish. 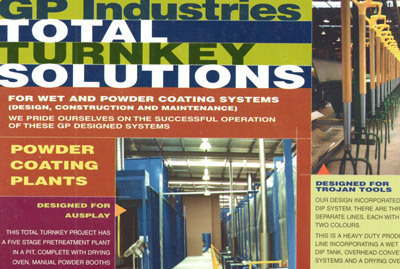 Dirt or oil, paint or corrosion, these process-contaminating factors absolutely must bite the dust before the part enters the main coatings room. Correct, the equipment in the pretreatment room works with unconditional efficacy. Granted, the Melbourne area, all of its industrial sites and suburbs, isn't troubled by year-long storms. However, there are harbour districts and harsh UV rays out there. Add to those practical requirements a demand for a visually appealing finish, and you can see why a powder coating pretreatment supplier in Melbourne needs to deliver something special. Sandblasting machinery or chemical cleaners, the selected cleaning tools provide the sturdy groundwork, as mentioned earlier. Is the workpiece ready for the powder coating cubicle now that it's clean? It would seem so, but that's not necessarily the case. There's the physical bonding issue to deal with before the parts are properly prepped for the main stage of the process. These are the phosphates and acid rinses that ready the surface metal for the powder. 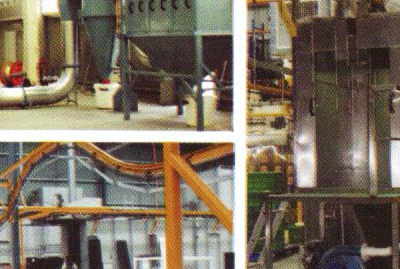 Then, holding all of these chemicals and treated workpieces, stainless steel hooks and low-contact shelves sit next to corrosion resistant dipping tanks. To put it another way, every chemical agent and every surface treatment fluid receives its own safely configured containment unit. No matter how professionally any Melbourne powder coating shop works the process, it's just not going to yield good results if the part isn't prepped properly. Sandblasters, pressure washers and vapour degreasers, all of these cleansing solutions should be in place. Then, after the washing is done, a superior pretreatment phase takes place, with chemical etchers and phosphate coatings really assuring a fully bonded coating.